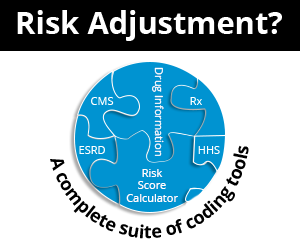 CMS guidelines instruct coding and auditing professionals they may use either the 1995 or 1997 documentation guidelines when coding or auditing provider documentation. The restriction, of course, is the two guidelines cannot be combined- auditors must use either 1995 OR 1997 for any single episode of care. The two guidelines, 1995 or 1997, are strikingly different in the requirements for documentation of physical exam components. The 1995 guidelines allow for a documented exam of eight (or more) specific identified organ systems to qualify as a comprehensive physical exam. 1997 documentation guidelines require documentation of certain number of distinct specific bullets to meet the qualification for a comprehensive exam. The specific systems and the number of bullets required is established by a general system exam as well as ten single organ systems including cardiovascular, neurology and psychiatry among others. Certain specialties, such as neurology, psychiatry, and ophthalmology are often more reasonably audited using the 1997 guidelines as they are more applicable due to the specialized focus of the examination performed. Auditors can become comfortable working within one or the other of the documentation guidelines and often focus exclusively on the requirements for those guidelines when considering documentation of a physical exam. Auditors must remember to think outside the box when considering the documentation components of physical exam. As a working auditor, I generally default to the 1995 guidelines as I find them to be easier to work with in the broad framework of medical documentation. I recently encountered documentation of a physical exam that, on my quick initial review, appeared to include a full eight organ system as well as one body area and met the requirements for a comprehensive exam under the '95 guidelines. Closer inspection, however, revealed the information for the GI systems referenced only the abdominal area and supported a body area, not an organ system. Furthermore, the entry for musculoskeletal system referenced only the spine, an identified body area in the 1995 exam guide, not the musculoskeletal system. The notation of spine alone without reference to other joints, bones, or muscles of the musculoskeletal system meant the entry satisfied a body area rather than a true organ system. My exam now supported an expanded problem focused exam addressing seven organ systems, none in detail, and three body areas using the 1995 guidelines! It wasn't until I thought to re-assess the documentation using the 1997 general multi-system examination that I was able to clearly identify twelve distinct bullets and score the examination as detailed. The history and medical decision making components are the same in both 1995 and 1997, and while the level of service was still found to support a lower level than originally reported, the supported level wasn't as dramatic a code change as it would have been using strictly 1995 documentation guidelines. As auditors, we sometimes need a reminder to always consider the possibilities when reviewing documentation for coding accuracy. Remember to think outside the box when considering the examination because there's more than one option available!